Tiger Woods was back at a PGA Tour event wearing his traditional Sunday red – but the 14-time major champion wasn’t playing golf, and he’s still not sure when he will return to playing competitively. 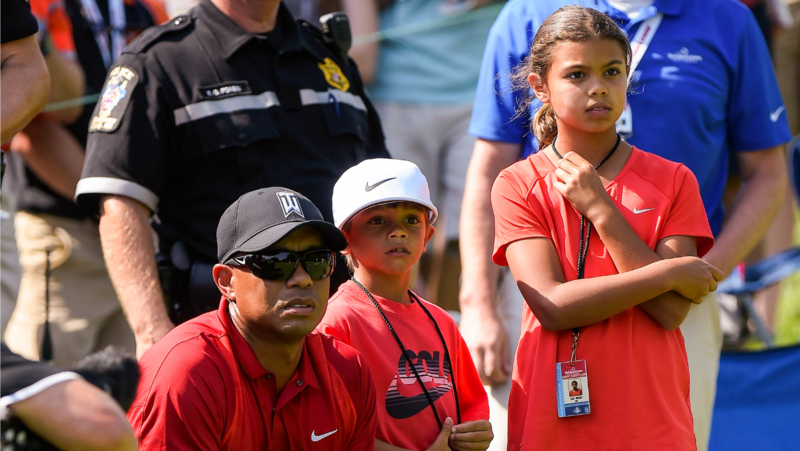 In an interview with Jim Nantz during the final round of the Quicken Loans National, which is hosted by Woods and benefits the Tiger Woods Foundation, Woods joked that he’s good enough to beat his 7-year-old on the course. Woods revealed that his son Charlie just finished in second place in his first golf tournament, and then gave a real answer to the question.